The growing number of ride-sharing cars on the road is adding to the traffic problem in Boston, and some of those drivers are coming from out-of-state. Rhode Island, New Hampshire, Florida, Connecticut — all over the place in Boston, you can find Ubers and Lyfts with out-of-state plates. The ride sharing cars are adding to an already heavily congested city. 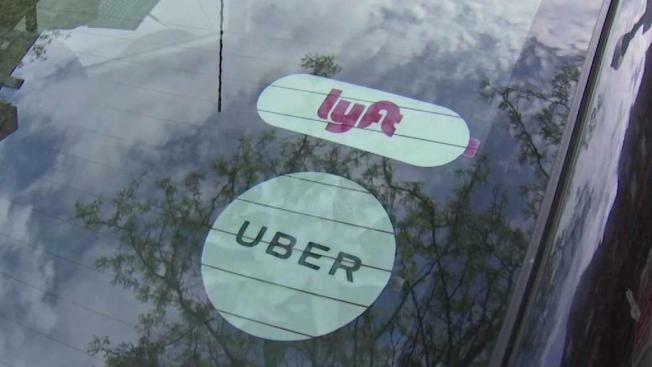 "I'd say there's a decent amount of people that definitely do it," said one ride sharing driver, picking a passenger up at Logan International Airport. "They come to Boston because this is where the demand is." "It's really contributing to the congestion and we see every morning cars coming in from outside Boston, outside Massachusetts," said Boston City Councilor Michelle Wu. And Wu says that congestion is increasingly problematic. "There are cars pulling over, waiting in the bike lanes, parked, double parked, triple parked sometimes," Wu said. In fact, new state data released just days ago shows there was a staggering total of 34.9 million Uber and Lyft rides originating out of Boston last year. Wu says she doesn't want to restrict new businesses coming into the city, but she says Boston could think about "congestion pricing" to cut down on rush hour traffic. "If there were some type of pricing or toll or fee coming in to the city during rush hour, that's the really the only way we can get a handle on all these cars coming in from outside Boston and clogging up our streets," she said. Wu says the city is considering designated drop-off and pick-up zones to help alleviate some of the double parking.